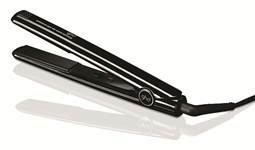 The new limited edition GLOSS by ghd is now available. Now the award-winning styler comes in a strictly limited high gloss varnish in the colours red and black. The limited edition styler of the ghd GLOSS Collection convinces with the proven ghd features like movable styler slides, unique digital technology and modern ceramic heaters for the perfect styling temperature, sleep modus that's activated if the styler isn't used for more than 30 minutes and universal voltage that adapts to the voltage of each country. It's available from now on at the best hairdresser's, selected perfumeries and online on ghdhair.com.